6-1 PG Eric Gaines (Lithonia) was named 16U Most Valuable Player and rightfully so. 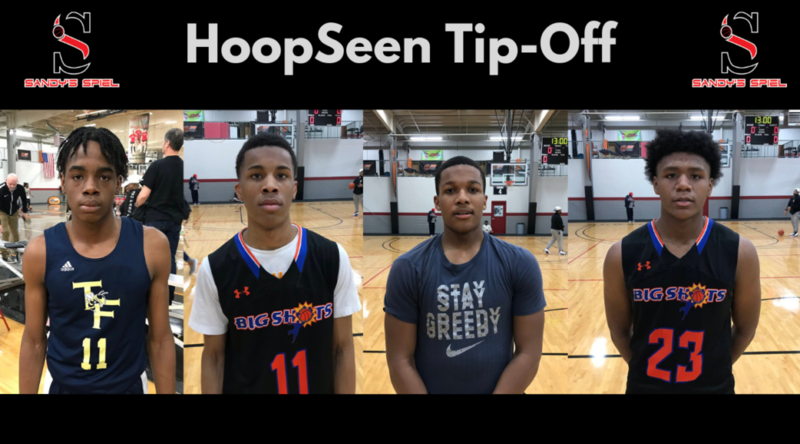 The svelte springy guard came up big down the stretch in the Xpress’ 72-68 championship victory over Game Elite Black, hitting 3 threes in the second half including scoring six crucial points in the fourth quarter. Gaines had 14 points in both the finals and the semifinals and used his electric athleticism to keep defenses on their heels. 6-5 F Jamaine Mann (ELCA) did his usual work in the paint. Too powerful to stop inside, Mann converted tough hoops up close. 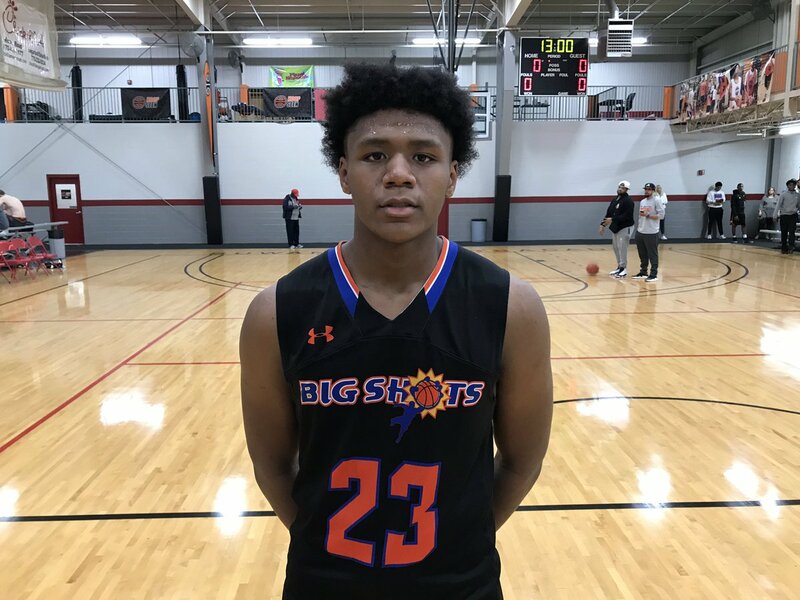 Right now, Mann is best suited to play inside as a power forward, but his athleticism and bloodlines may help him find an eventual future as a swingman. 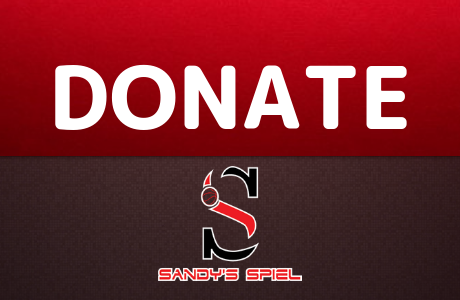 His quickness and explosion as a face-up 4 causes matchup problems. 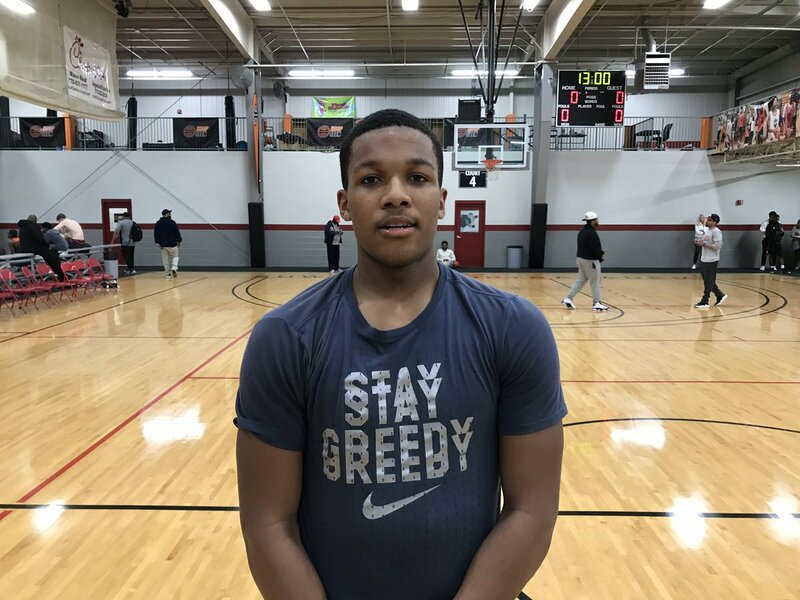 He had 18 points, 6 rebounds and 1 block against Infinite Skillz before totaling 15 points – 9 in the fourth – in the 16U title game. 6-2 SG Deandre Brown (Holy Spirit Prep) found buckets on the perimeter as he did all season long at Therrell. The lefty drilled 3 threes en route to 11 points and 4 rebounds against Infinite Skillz before scoring 7 of his 13 points in the fourth quarter in the championship. Brown is a crafty scorer that can find the bottom of the net in a variety of ways. 6-1 PG KD Johnson (Southwest DeKalb) was hands down by far and away the best 16U player in attendance and he was rewarded by receiving Most Outstanding Player and an offer from Seton Hall. Johnson was brilliant to open up the tournament, pouring in 37 points, 4 rebounds, 1 assist, 4 steals and 2 blocks. Johnson was the epitome of a “man among boys”, doing whatever he wanted in a 99-71 win over ATL Hoops. Most impressively, Johnson drilled 6 three-pointers, hardly hitting the rim on his first four attempts. After a 5-point first half in the championship game, Johnson revved it up in a losing effort to finish with 20 points, 7 rebounds, 4 assists and 1 steal. Johnson was outstanding all day long. As he matures, he will need to learn when to take his foot off the throttle and change speeds. Johnson can tend to be an emotional player as well, usually for the good, but when adversity hits with a bad call or an off night, he must respond appropriately. Johnson is a sure-fire High Major prospect. 6-6 F Sam Hines (Wheeler) is a winning player that does both the little things and the big things. He is a consistent threat to reach double figures offensively while still providing tough rebounding and good ball movement. He posted 10 points, 6 rebounds, 6 assists and 1 steal against ATL Hoops. In the championship game, Hines tallied 14 points, 12 rebounds, 2 assists and 1 block. Hines’ value is as a stretch-4. He is skilled enough to provide minutes on the wing and his versatility as a guy that can do a little bit of everything makes him a piece that can play multiple positions. He reminds me of former St. Francis standout Chance Anderson who signed with San Francisco, who served a similar role and put up comparable numbers in Coach Drew Catlett’s system. Now at Wheeler, Hines doesn’t need to try to do too much or try to prove himself. He just needs to play his game and continue to make winning plays. 6-7 C Darius Gaddy (Wheeler) is a space eating post with soft hands. He is ambidextrous, shooting almost exclusively with his left hand in the paint while jumpers and free throws are delivered with his right hand. Gaddy is big and physical. He can carve out space and uses the glass well on baby hooks. He had 8 points and 5 rebounds against ATL Hoops. 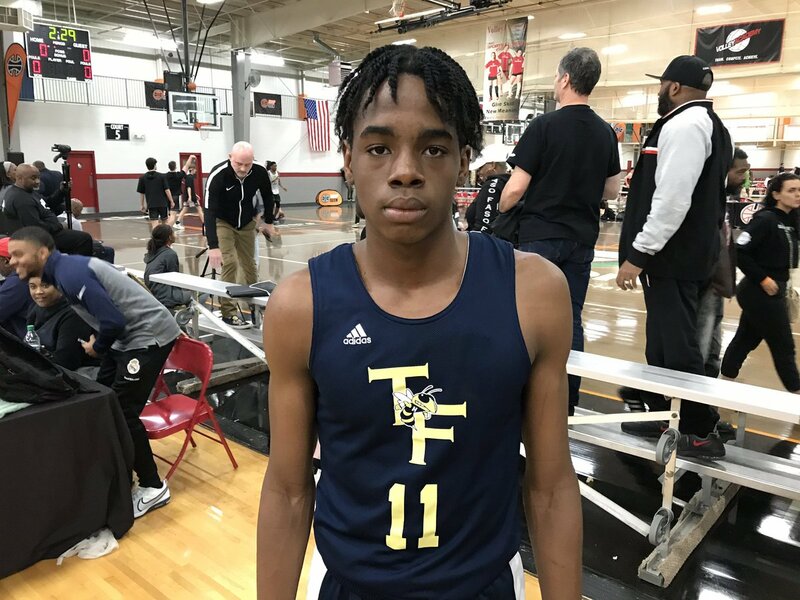 Gaddy dominated in the first half of the title game, scoring all 8 of his points before Game Elite went away from getting him touches in the second half. He gobbled up 8 rebounds to boot. Defensively, Gaddy has to move his feet more and focus on blocking out. Right now his offense is ahead of his defense. 5-7 PG DJ Wright (Greene County) did it again. 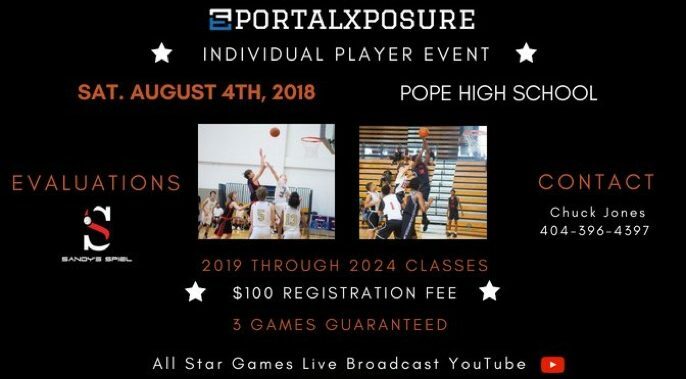 If you listened to last week’s Spielin’ & Dealin’, it should come to no surprise that Wright carried over his outstanding play from Georgia State Team Camp into the Battle For Georgia. In a semi-final loss, the dynmo poured in 29 points, hitting 4 threes. Wright is such a tough cover with his quickness and shot making. He is one of the best undersized guards in the state, regardless of class. 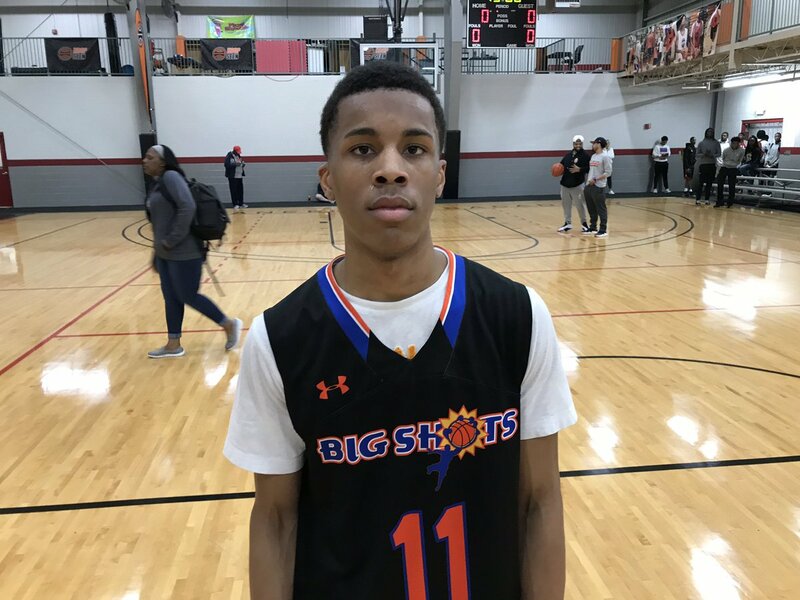 6-4 W Demetrius Rives (Tri-Cities) deserves more statewide publicity coming off of a sophomore season in which he was named Clayton County Underclassman of the Year, All-Clayton County First Team and Region 4-AAAAAA Third Team after averaging 15 points, 8.4 rebounds and 4.1 assists per game. Rives has a strong body on the perimeter and a nose for the ball. He finished with 16 points, 6 rebounds, 1 assist, 2 steals and 2 blocks in the semifinals against the Atlanta Xpress, showcasing his versatility. 6-3 G Tyler Johnson (Cedar Shoals) is a big guard that can do it all. Since seeing him for the first time two years ago, you can always count on Johnson to produce on both ends of the floor. Johnson is a true stat sheet stuffer and he didn’t disappoint at the Battle For Georgia. In their tournament ending loss to the Atlanta Xpress, Johnson collected 13 points, 10 rebounds, 6 assists and 2 steals. Even when Johnson has an off-shooting night, he knows how to find a way to affect the game in a positive manner. 6-1 PG Rod Jones (Dougherty) led the Trojans in scoring as a sophomore, averaging 14.9 points per game. 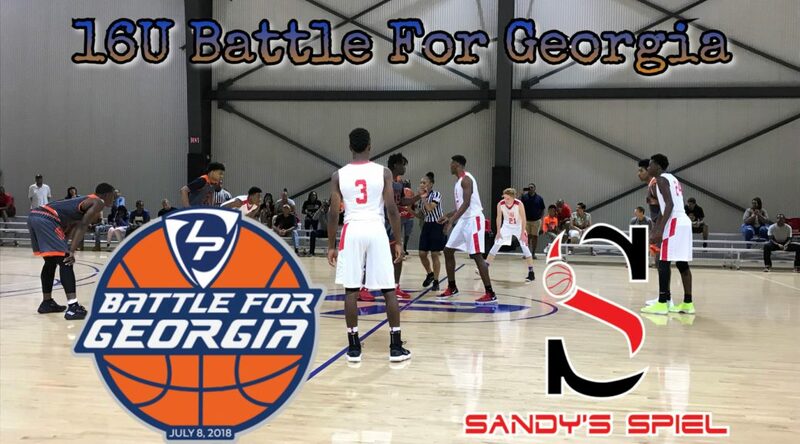 With an overmatched ATL Hoops team at Battle For Georgia, Jones was fearless and played end-to-end, trying to provide a spark which never came in a 99-71 loss to Game Elite Black. Jones brought great energy, finishing with 9 points, 4 assists, 5 steals and 1 block. He plays bigger than his listed height and has the trademark South Georgia toughness. He will be a player to keep tabs on. 6-7 C Jared Ivey (North Gwinnett) had a couple nice moments down low, throwing down three dunks and finishing with 12 points and 6 rebounds. Ivey is a naturally strong athlete that plays defensive end on the football team. On the hardwood he is still a little raw with his footwork and balance. If he can run rim to rim, he should be able to give the Bulldogs a couple easy hoops per game and be a nuisance on the glass.